While here in the Southeast we have hurricanes to deal with, in Hawaii they also have volcanoes. That sometimes also cause earthquakes. And when they erupt, it’s a whole different kind of catastrophe. Here is an interesting article from Sioux Honey on one Hawaiian beekeeper’s problems with both the volcanic eruption and the rain from Hurricane Lane, which hit Hawaii in late August, dropping more than 52 inches of rain in just a few days. You can read the story here. 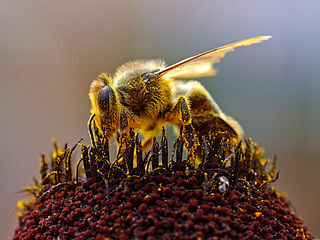 I haven’t heard any stories about the bees in the Southeast and how they have survived our tropical season, but I am sure there are few stories out there. Next: When will the fall weather come? Not anytime soon.